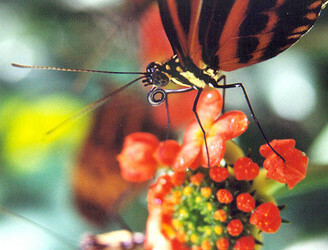 Heliconius butterflies have two unique, derived ecological traits that may have facilitated rapid adaptive radiation: pollen feeding and pupal-mating behaviour (Gilbert, 1972). 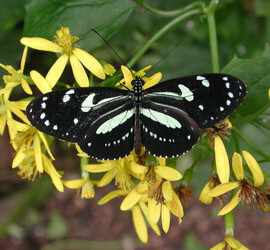 Adult butterflies systematically collect pollen from flowers, which they masticate on the proboscis to dissolve out amino acids. This allows adults to have a greatly extended lifespan – up to 8 months – in the wild. This long lifespan has led to a series of adaptations to exploit scarce resources in their rainforest habitats. Notably, trap lining behaviour, in which adults regularly follow the same route through the forest and visit known resource sites (Ehrlich and Gilbert, 1973). Adults also have a good memory and avoid returning to sites where they have been netted for a few days (Mallet et al., 1987). 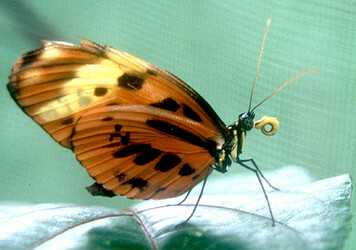 One clade within the genus, the H. erato and H. sapho groups show pupal-mating behaviour in which males locate female pupae and visit them regularly, eventually mating with females as or even before they emerge from the pupa (Deinert et al., 1994). Mallet J. Singer MC. 1987. 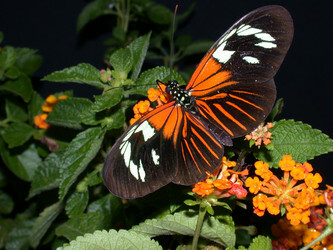 Handling effects in Heliconius: where do all the butterflies go? J. Animal Ecology. 56: 377-386 (1987). Penz CM. 1999. 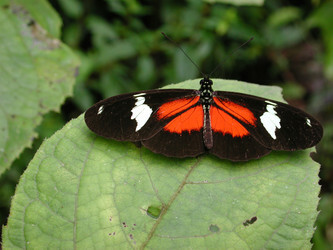 Higher level phylogeny for the passion-vine butterflies (Nymphalidae, Heliconiinae) based on early stage and adult morphology. Zoo. J. Linn. Soc. 127: 277-344.